In a remote stretch of Patagonia, Argentina, there is a 100-year-old community that speaks Afrikaans – a language only spoken in South Africa. In a remote stretch of Patagonia, Argentina, there is a 100-year-old community that speaks Afrikaans – a language only spoken in South Africa. It’s such an incongruous language in this area that it would be like finding a community of Icelanders in the Australian outback. In southern Africa, after the destruction of their farms caused by a war with the British, the Boers (“farmers”) – descendants of Dutch settlers from the 1600’s – sailed across the Atlantic to start a new life in freedom in 1902. 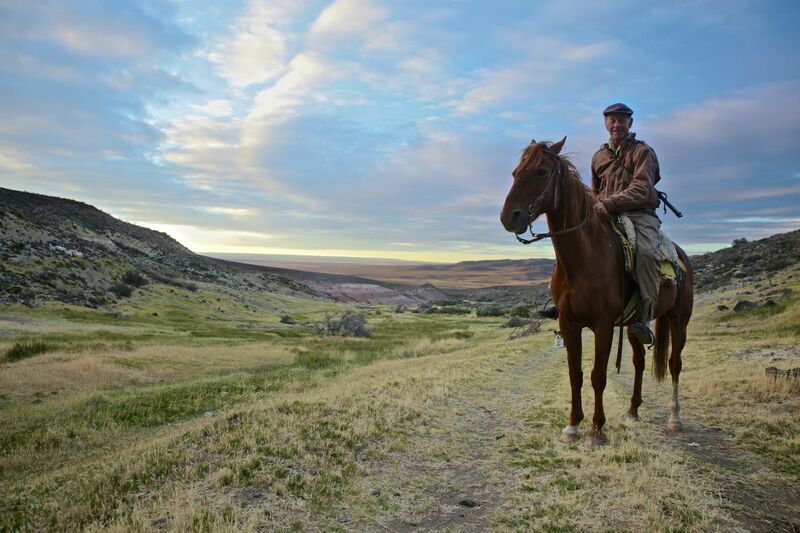 The Boers headed into the arid heart of Patagonia where they found a land that reminded them of their distant home. Today, their children and grandchildren still endure in this harsh place. They speak archaic Afrikaans, cook traditional foods and sing the old folk songs. But despite their fierce pride in their roots, their culture has been eroded over time and only a few dozen of the oldest individuals still speak their mother tongue. They struggle to keep their culture alive but are resigned to the knowledge that they are the last generation to speak the language in the region, and they will be gone in a decade or two. It is a parallel world of contemporary Afrikaans society, separate from the Apartheid policies that intervened in South Africa, giving a unique glimpse into what might have been. The film focuses on a family, the Dickasons, who long to reconnect with their relatives. They travel back to Africa for the first time, exploring their sense of identity and connection with their roots, and experiencing emotional reunions with family from whom they have been separated by decades and oceans. Their ideas of home, culture and belonging will never be the same. The bonus features include subtitle in Afrikaans and English, deleted scenes and a behind-the-scenes feature.